Yesterday at the MWC 2017, Sony Mobile launched a quartet of new Android smartphones. The additions were split into premium mobiles, represented by the Xperia XZ Premium and Xperia XZs, and the 'super mid-range' consisting of the Xperia XA1 and XA1 Ultra. As part of its presentation Sony also showed off the Xperia Ear 'Open-style CONCEPT' headset, and the Xperia Touch Android projector. Sony continues to release new smartphones "with an unwavering focus on delivering the most advanced technology in elegantly designed products." Its premium offerings do indeed push the boundaries of mobile technology. With the 5.5-inch Xperia XZ Premium Sony has delivered the world's first 4K HDR TRILUMINOS display in a smartphone. 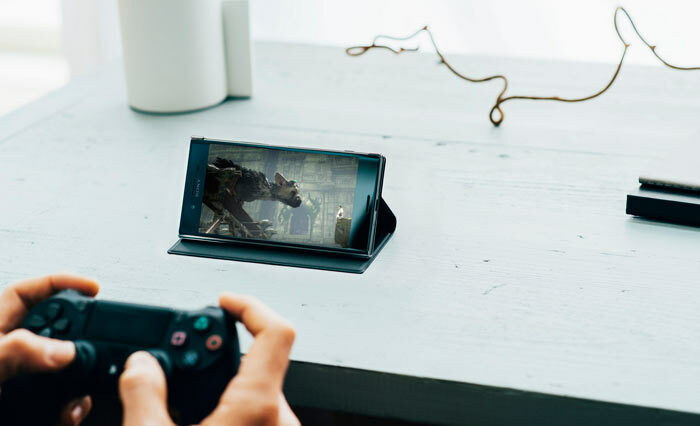 In addition this Snapdragon 835 powered mobile features the Sony Motion Eye camera system which is capable of up to 960fps super slow motion video capture and playback. The Xperia XZ Premium will become available from late spring. The more compact Snapdragon 820 powered Xperia XZs flagship includes the same Motion Eye tech as above but with a more modest 5.2-inch TRILUMINOS screen. It will become available in April. In the 'super mid-range' Sony has introduced the Xperia XA1, and XA1 Ultra. These MediaTek Helio P20 powered smartphones build on the XA designs of last year with the Ultra model again a bigger screen version (6-inch FHD XA1 Ultra, compared to the 5-inch HD Xperia XA1). Sony has worked specifically on camera improvements and has fitted these XA1 models with high-end rear camera specs including Exmor R 23MP sensors with low-light capabilities. The XA1 Ultra uses a bigger rear camera sensor (1/2.6-inch rather than 1/4-inch) and adds a superior selfie cam with 16MP. Both these mobiles will arrive in spring in a range of colours and finishes. This is a headset which doubles as a voice-activated personal assistant. 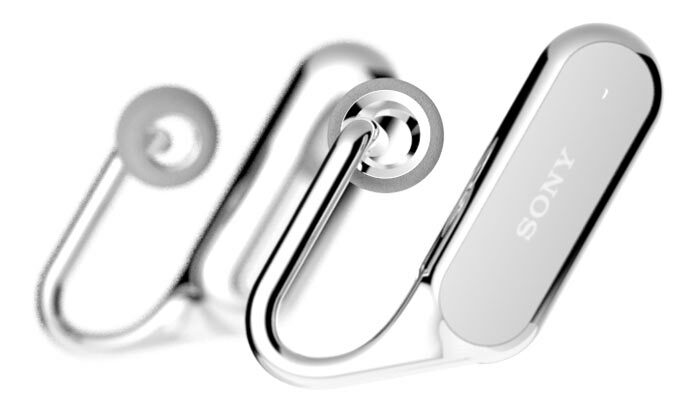 Sony says that this concept offers a "breakthrough in listening style," as you can enjoy your music but "never miss out on what matters." The wearer can listen to music and hear messages read, while also still hearing sounds in the surrounding environment. This Android projector makes any flat surface into a 23-inch HD touch screen. Using Sony's SXRD projection display technology it is capable of horizontal or vertical ultrashort-throw projection. Suggested uses of the Xperia Touch are gathering friends around a table, kitchen island or flat wall to enjoy games, watch online video streaming services and communicate using messaging apps and social networks. It offers a home screen with real-time weather information, a memo board for doodles or video notes, calendar access, and a Skype portal. It is PlayStation 4 Remote Play compatible. The Xperia Touch will be rolling out in Europe in spring with an RRP of €1499. Tbh the LG G6 looks more inspiring to me…if only it had the S835 SoC then it would be near perfect. I've got a Z3 compact at the moment, I need to upgrade mine to the mrs can take this one. I like the water-proofing feature which isn't available on the later compacts, but I also really like the sensible size. I'm tempted by the XZs, but the size puts me off. Glad they improved the camera Z3 one was really really bad, like there was literally no point trying to take a low light photo with it. But still with the Sony bloatware spamming notifications I don't think I'd buy another Sony phone. Happy with my OP3T.